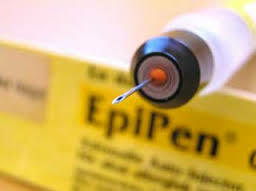 Who is allowed to administer an adrenaline auto-injector (epipen®) to a casualty in an emergency? The answer is simple for what can be a very cloudy topic ….. ANYONE CAN. Some confusion derives from out of date information. Before 2012 the law stated that the lay person must have been appropriately trained. Then In 2012 the Medicines Act was broadened and now states that any lay person can administer adrenalin for the purpose of saving a life. (1) A person may not sell or supply a prescription only medicine except in accordance with a prescription given by an appropriate practitioner. (b)acting in accordance with the directions of such an appropriate practitioner. Regulation 238. Regulation 214(2) does not apply to the administration of a prescription only medicine specified in Schedule 19 where this is for the purpose of saving life in an emergency. Do you still need to train staff / employees in how to administer adrenaline auto-injectors if the law doesn’t require it? Competence is the key, whilst workplaces including schools have statutory guidance which must be followed. In this case it would be to support pupils at school with medical conditions and any member of school staff may be tasked with supporting pupils with medical conditions including anaphylaxis, so the school must ensure that their staff who take on the role receive sufficient and suitable training to achieve the necessary level of competency before they take on this responsibility. Adrenine auto-injector training will provide school staff with the ability to recognise the signs and symptoms of a life-threatening anaphylactic reaction. 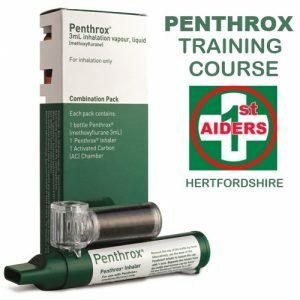 It will also give them the confidence to act promptly in administering treatment – positive actions needs to be taken whilst the casualty’s epipen is being located and what to do once they are in posession the medicine – time is of the essence and these skills will be certainly be improved by attending a training course. It isn’t just about schools, any employee who commonly comes into contact with people, customers and vistors, not just employees, … anyone is likely to suffer from severe allergic reactions, such as anaphylaxis some may carry adrenalin auto-injectors and could need urgent medical attention by a member of staff. It is far better to be trained to recognise the signs and symptoms of a severe allergic reaction and also to administer adrenaline auto-injectors. So as much as the law states that ANYONE can administer adrenaline in an emergency, life-saving situation it certainly does not mean that ANYONE will take action and actually recognise the severity of the situation. 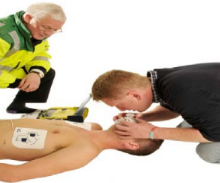 Being trained properly to help the casualty could potentially save their life. There are three main types of adrenaline auto-injector which are prescribed in the UK; Many people use the generic term ‘Epipen’, like we use the word Hoover, howver, other brands are Jext and Emerade. The latter is a recent single use adrenalin auto-injector that is now available in the UK. If you come across Anapen®. this is used in Ireland, USA and Europe but not currently passed for use in the UK. Each manufacturer has their own instructional video on how to use an adrenaline auto-injector which you can watch via the links below. From September 2014, all schools in England must meet a duty to support children with medical conditions, including anaphylaxis, and follow statutory guidance issued by the Department for Education. The statutory guidance and further signposting are available to read online here. The Medical Conditions at Schools website is an excellent resource. 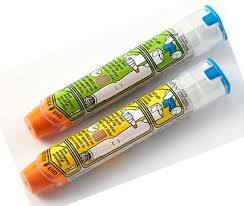 As well as http://www.anaphylaxis.org.uk/schools/help-for-schools See also Supporting Pupils With Medical Conditions.